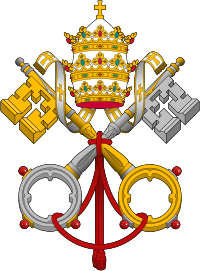 Pope Valentine (in Latin: Valentinus; 800 – 10 October 827) was Pope for two months in 827. Born in Rome in the region of the Via Lata, Valentine was the son of a Roman noble called Leontius. Showing an early aptitude for learning, he was moved from the school attached to the Lateran Palace and, according to the Liber Pontificalis, was made a Deacon by Pope Paschal I (817–824). Paschal grew attached to the young man, and soon raised him rank of Archdeacon. He also was clearly favoured by Paschal’s successor, Pope Eugenius II, to the point where rumours were circulated that Valentine was really the son of Eugenius. Other rumours declared that Valentine and Eugenius were involved in an illicit relationship. 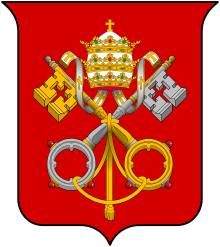 With the death of Eugenius, the Roman clergy, nobility and people all acclaimed Valentine as being the most worthy to occupy the Apostolic See. They took him from the Basilica di Santa Maria Maggiore, and installed him in the Lateran Palace, ignoring his protests. In their haste, they enthroned him before he was consecrated a priest; this was an unusual reversal of the normal proceedings, and in fact was the first time it had happened in the recorded history of the papacy, although it would be repeated during the pontificate of Pope Benedict III. On the following Sunday, he was formally consecrated bishop at St. Peter's Basilica. There were no imperial representatives present during the election, and Valentine had no opportunity to ratify his election with the emperor, as he was dead within five weeks, dying on 10 October 827. The election of Valentine was another sign of the increased influence the Roman nobility was having in the papal electoral process. Not only had they managed to get one of their own elected, but they also took part in the election itself. 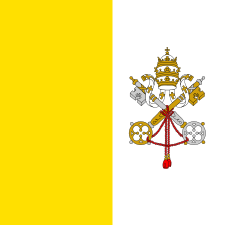 The Lateran Council of 769, under Pope Stephen III, had mandated that the election of the pope was to be the responsibility of the Roman clergy only, and that the nobility could only offer their respects after the pope had been chosen and enthroned. This gradual encroachment into the papal electoral process would reach its nadir during the tenth century, when the papacy became the plaything of the Roman aristocracy. ↑ Herbermann, Charles, ed. (1913). "Pope Valentine". Catholic Encyclopedia. New York: Robert Appleton Company. Herbermann, Charles, ed. (1913). "Pope Valentine". Catholic Encyclopedia. New York: Robert Appleton Company.